Drive by Aztec Rental Services in Houston, Texas, on any given Saturday morning and chances are you’ll find a row of vehicles lined up to receive Freshly mixed concrete for weekend projects. 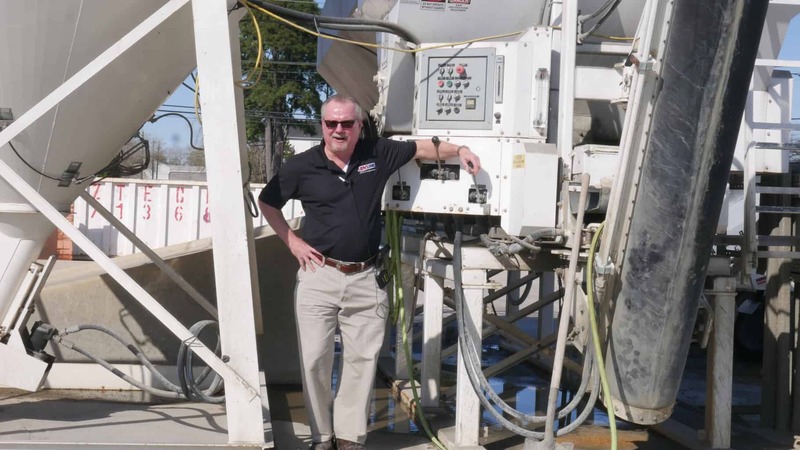 According to Aztec Vice President Martin Bolt, Sr., the concrete trailer haul business was one of the first expansions the company made beyond traditional rentals. Based on the demand for short load concrete, it is a service Aztec will continue to offer. Give us an overview of your operation? Aztec Rental Services covers six acres with a diverse range of inventory for contractors, businesses and homeowners. That includes construction equipment, portable restrooms, temporary fencing, storage facilities, party and special event supplies, and a propane filling station. Today, we are recognized as one of the largest independent equipment rental companies in south Texas and concrete sales are part of our success. Why did a rental company decide to get into the concrete business? The answer is quite simple. Area ready-mix plants were not able to efficiently meet the small yardage needs of contractors and do-it-yourselfers in the Houston area. We began filling that need with a small paddle mixer in 1980 and the business has grown since that time. 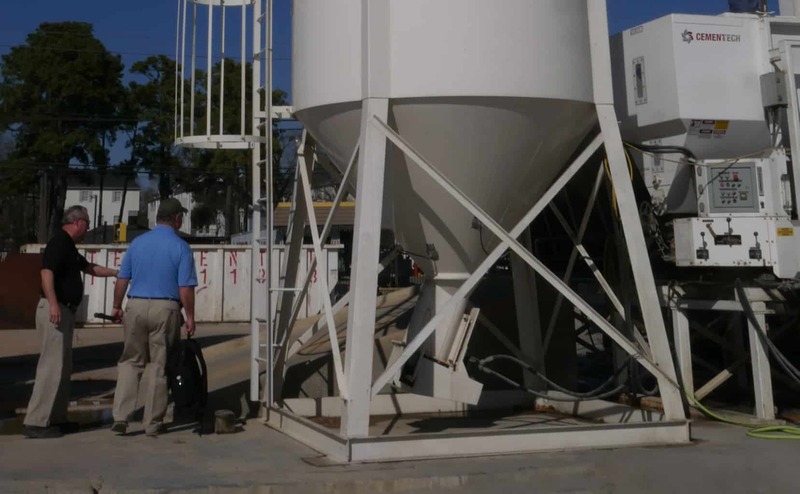 How do you meet the growing demand for short loads of concrete? One of the best decisions we made was to retire the antiquated paddle mixer and invest in a machine that could mix the quantity of concrete we anticipated selling in the future. A company very much like ours in Oklahoma City offered a word of advice — Cemen Tech. Today, we use two hydraulically driven Cemen Tech SCD portable mixers to keep those vehicles moving through the yard. Can you explain the mixing and loading process? Customers come into the office and order the number of yards they need for their projects. We sell five-bag and six-bag mixes in quantities from as little as quarter yard and up from there in two yard increments. While they are in the office, customers get a quick education on safety and cleaning tips related to the trailers they will rent to haul the concrete. Once the trailer is properly hitched to the vehicle, it is positioned by the mixer and concrete is poured into the trailer. In as little as five minutes, customers can be off to their project with a fresh load of concrete. It’s that simple. The most difficult part of process is getting customers to clean the trailers when they return them! How simple is the process for you as an operator? The concrete production process is a lot less demanding than taking care of our 20 plus trailers. We typically have one employee operate the Cemen Tech equipment. On busy weekends, we might have another employee help customers with their loads. Having been around Cemen Tech equipment for a number of years, running the mixer has become a no-brainer for the staff. We can quickly adjust the gate and run times to change our mix. If we needed, we know Cemen Tech is a phone call away with people who can help us solve any issue. You couldn’t find a better group of people to partner with than Cemen Tech. We run our mixers six days of the week. On Saturdays, we typically pour 20 plus yards of concrete. In good weather, we have exceeded 30 plus yards a day! 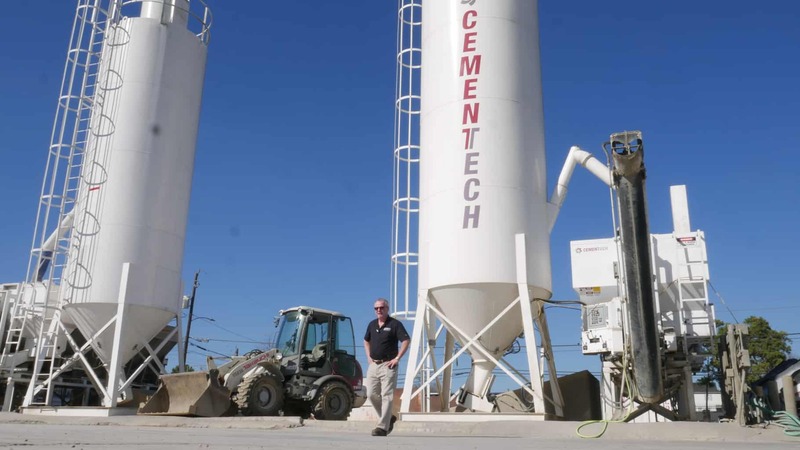 Basic maintenance recommended by Cemen Tech and keeping an eye on wear components has kept things running smoothly for your concrete operation. In the event of a shutdown, we can increase the capacity of our other Cemen Tech mixer so customers are not inconvenienced. What comments do you hear from customers? Whether we are working with contractors or the weekend warriors, the reaction is the same. During the week, several municipalities use the service for everything from curb repair to wheel chair ramp projects. They all appreciate the ability to control their concrete needs by pulling into our yard, hitching up to a trailer and getting the quality and quantity of concrete they need when they need it. Do you anticipate continued growth for your concrete business? Definitely, it is filling a valuable niche for contractors, homeowners and municipalities. As Houston’s infrastructure gets older, it will require more repairs and modifications. We’ll be there with the most efficient way to deliver short loads of concrete to get those jobs done.